Frank Cadogan Cowper RA (1877-1958), Vanity (Detail), 1907. Oil on panel. 57.1 x 38.1 cm. Royal Academy of Arts. Join international scholars, art-world professionals and fashion industry experts for a lecture series on the history of Western dress from the early modern period to the present. Over eight weeks, this lecture series takes a broadly chronological approach, tracking developments in fashion over eight centuries. The study of dress enables an understanding of the history of science, economics, politics, social history, art, sport and everything in between. Since the early Renaissance and the introduction of sumptuary laws across Europe - laws attempting to restrict excessive extravagance in dress - fashion has been used by the ruling elite as both an expression of power and a political tool. This course explores the power struggles among early European states and how this was played out through taste and dress in the 15th and 16th centuries. It looks at, for example, the highly symbolic dress employed in the English Tudor court of the 16th century. Depictions of members of the Stuart court in the 17th century gave way to more sensual portraiture, were painted fashions were different from historically accurate dress. With this in mind, the course investigates the gap between invented portrayals of dress as seen in art and what people actually wore. With the dawn of the Enlightenment in the 18th century, Britain saw a short-lived period as the arbiter of style as Europe embraced the ideal of the English country gentleman. This was once again reflected in art and literature which contributed to the prevailing image of an Englishman. Considering the twentieth century, the course examines the development of the modern fashion industry and the emergence of pioneering designers and iconic fashion houses, from Charles Frederick Worth to Chanel, Dior and Alexander McQueen. By studying the history of fashion through art, this course explores contemporary responses to fashion history and how we engage with dress today. £420. Includes all materials, light refreshments and a wine reception at the end of the final session. This course provides a unique opportunity to learn about the history of fashion through looking at depictions of dress in art, led by guest speakers and cultural leaders from the worlds of academia, art and fashion. This course will be delivered in part through lectures but will also include an opportunity for questions and discussion from participants. It is designed both to enable an historical overview for those new to the field, and to be relevant for those with prior fashion history knowledge who are keen to learn from experts in the field. This course is suitable for enthusiastic beginners as well as those with previous knowledge who would like to develop their understanding further. Cally Blackman is a dress historian with degrees in fashion, art history and an MA in History of Dress from the Courtauld. She is currently Acting Pathway Leader of the Fashion History & Theory BA Pathway at Central Saint Martins where she has been teaching for nearly 20 years. She lectures widely and has published several books, including 100 Years of Fashion Illustration (2007) and 100 Years of Fashion (2012). A history of the Fashion School at CSM is due to be published in September 2019. 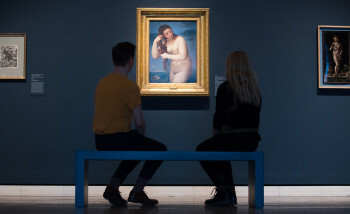 Professor Christopher Breward is Director of Collection and Research at the National Galleries of Scotland. He was trained at the Courtauld Institute and the Royal College of Art, London and has previously worked as Head of Research at the Victoria and Albert Museum, London and as Principal of Edinburgh College of Art, University of Edinburgh. His published interests include the relationship between art and fashion, visual and cultural histories of masculinity and histories of city life. Jonquil O’Reilly is Vice President, Specialist, Head of Sale for Old Master Paintings at Christie’s New York. Having earned her degree at the University of Edinburgh with a year at the Università di Bologna, she began her career at Sotheby’s London in the Old Master Paintings department in 2008, moving to New York in 2011 and accepted her role at Christie’s in 2018. In addition to researching, authenticating and valuing art, compiling catalogues and curating exhibitions and auctions, Jonquil has a secret passion for codpieces, ruffs and farthingales. She writes and lectures on historical fashion as means of contextualizing paintings and making them more approachable for new audiences. As “The Costumist” she contributed regularly to Harper’s Bazaar online and in 2018 wrote for Vanity Fair. Jonquil has given fashion lectures at the Metropolitan Museum, Chatsworth House, The Cleveland Museum of Art, the Lobkowicz Palace at Prague Castle and has spoken on panels at the 92nd Street Y, Pacific Place Hong Kong and TEFAF art fairs. 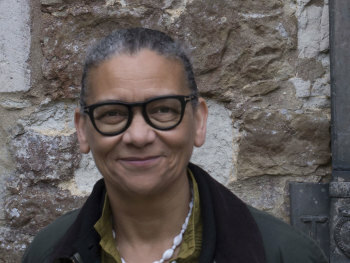 Professor Aileen Ribeiro read history at King’s College, London, followed by postgraduate study (MA and PhD) at the Courtauld Institute of Art, University of London. She was Head of the History of Dress Department at the Courtauld Institute from 1975 to 2009 and appointed Professor in the History of Art at the University of London in 2000; she is now Professor Emeritus. She lectures widely in Great Britain, Europe and North America, and has acted as a costume consultant / contributor to major art exhibitions. She has published many books and articles on various aspects of the history of dress. Books include The Art of Dress: Fashion in England and France 1750-1820 (1995); Dress in Art and Literature in Stuart England (2005); Facing Beauty. Painted Women and Cosmetic Art (2011). Her most recent book is Clothing Art. The Visual Culture of Fashion 1600-1914 (2017), winner of the Apollo Book of the Year Award 2017. Clare Rose is a dress historian whose research investigates the relationship between actual garments, the documents used to sell clothing, and images of fashionable people. She is particularly interested in fashion during the period 1830-1920, on which she has published several books including Art Nouveau Fashion 1890-1914 (V&A Publishing, 2014). Trained as a museum curator, she has researched and published on the collections of the V&A, The National Archives, the Bodleian Library, and institutions in Europe and the USA. She lectures frequently on the history of fashion at the V&A, and is the lecturer in Contextual studies for the BA in Hand Embroidery at the Royal School of Needlework. Dr Benjamin Wild, FRHistS, is a cultural historian who writes and lectures about the history of dress. He has written for a variety of magazines and academic journals and regularly teaches at the V&A and National Portrait Gallery. Previously, he was guest lecturer at the Condé Nast College of Fashion & Design, London, and consultant lecturer at the Sotheby’s Institute of Art, London. He is half of Dress: Fancy podcast, a weekly show that discusses the prevalence, power and popularity of fancy dress costume. His third book, Carnival to Catwalk: Global Reflections on Fancy Dress Costume, is forthcoming from Bloomsbury Academic. New in 2018, the lecture theatre builds on the RA’s heritage of rigorous and lively debate. This magnificent double-height space, with over 250 seats, allows us to share our artists and scholars with the world. Original clerestory windows provide a spectacular day-lit space, brought to life with a continuous programme of events including lectures, debates, film screenings and concerts.